Signs a man is in love include his inability to focus on anything else, see any wrong in the woman and forgive his friends or family if they put down the object of his affections. At least, those are the signs defined by Percy Sledge in his classic song, When a Man Loves a Woman. The first sign a man is in love begins with the softening of his rough edges. Even the toughest, most alpha of males will show love by softening his voice and relax his demeanor around the woman he loves. Romance authors embrace this concept, romantics celebrate it and romantic comedies tease their audiences with it. When you fall in love, you put your partner first, caring more about his or her feelings and his or her reactions than you do about yourself. A man's natural instinct to protect enhances this depth of caring. The more in love a man is, the more protective he becomes. One of the first signs a man is in love is the desire to ask his partner before he commits to anything. Before falling in love, if the guy wanted to go somewhere after work, he likely said sure and just let his girlfriend know he wouldn't be available. A man in love checks in with his partner before he commits. He'll ask if that's okay with her because truth be told, he'd rather spend time with her than with the guys, so he doesn't want to miss out on any opportunity or inadvertently hurt her feelings. A man in love enjoys the more intimate dinner setting. He goes out of his way to make sure it's just the two of you. He takes the time to think about what you enjoy and how you would enjoy it. He'll even eat at restaurants you couldn't have paid him to try before because he knows how much you may enjoy the cuisine. Men and women tend to communicate at different levels. Women call just to hear the sound of a man's voice, even over inane issues. Men typically call only when they need to receive or impart information. A man in love, however, will pick up the phone and call, he'll text, he'll email and more. He wants to hear her voice, and he wants to know how she is doing. A man in love takes greater care in his appearance because he wants his love's approval. If she doesn't like something that he's wearing, it's a pretty solid chance that he will not wear it again. He will likely lean towards wearing her favorite colors, cologne and even hairstyle (if she's mentioned a preference). He'll take her criticisms and compliments of his appearance far more seriously. He'll notice flowers at the checkout counter or a particular brand of chocolate that he knows she likes. 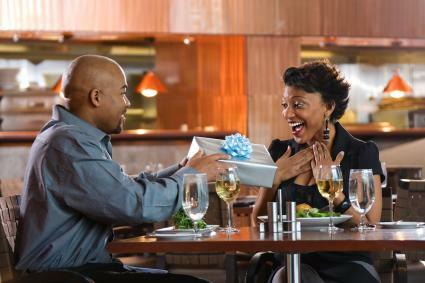 He'll see a movie, book, CD or some item that makes him think of her or that he thinks she will like and he'll buy it. The spontaneous gift giving is all about creating the smile that he loves to see on her face. How a man acts when he's falling in love is very different from how he would normally behave. Body language is a huge tell when it comes to being in love. Couples in love will be completely in sync and mirror each other's body language. This unconscious connection is just another way to feel close to and safe with your partner. Things men do when falling in love can vary from person to person, but an obvious sign includes intently listening to his partner. A man in love will care about what his partner has to say no matter how trite. Every word said sounds more captivating and exciting thanks to the rose-colored glasses perspective that many couples experience at the beginning stages of love. Men falling in love do not tend to be as emotionally intimate with their friends as women are, but the sign other men will notice first about a man in love is his eye will not wander. Men in love may still admire another woman, but it's a far more abstract admiration and less primal instinct.